I’m back, and just in time for Christmas! This morning I was forced gently guided to the gym where I got my glorious sweat on. It was as glamorous as it sounds… but damn I felt good afterwards. Right now I just feel like I fell off the horse. At speed. Down a bank. ← Where to from here? Yay! Right decision! Glad that you are feeling good. Thats awesome! Yay you! I’m waiting to get back on my horse. He’s kinda gone lazy. 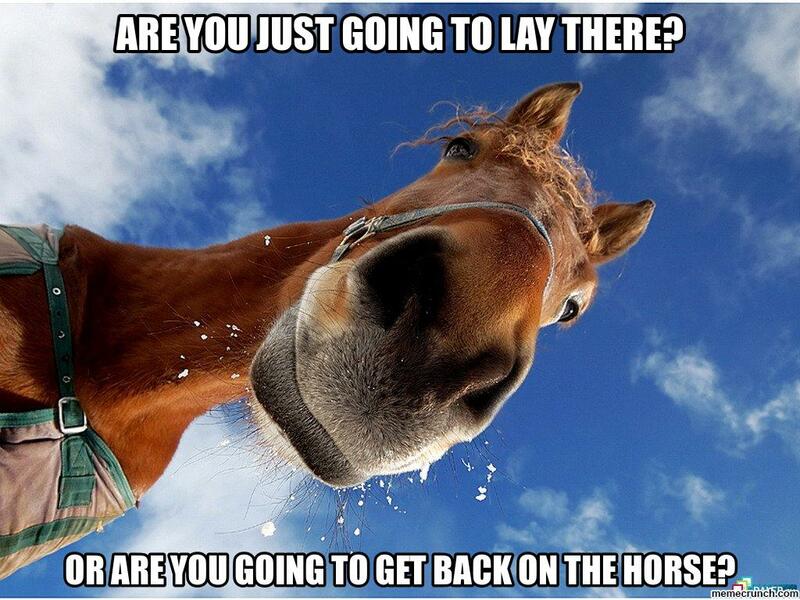 Glad you got back on the horse. Now all you have to do is keep on climbing back on.